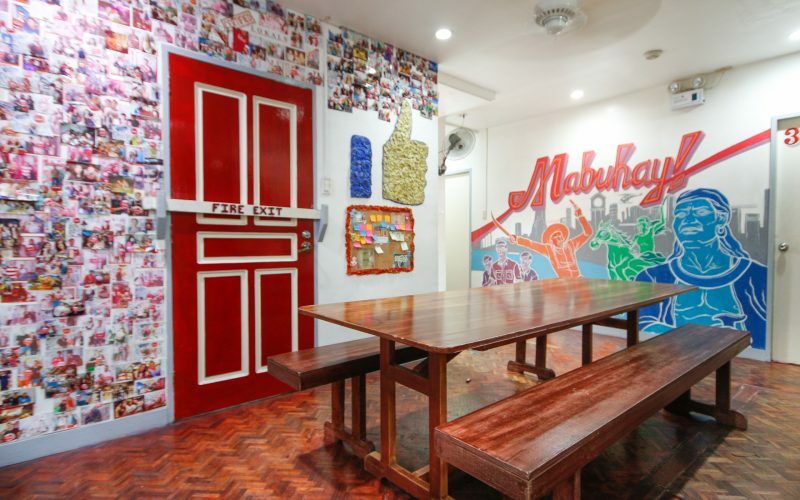 Lokal Hostel gives new meaning to bringing the outside in. 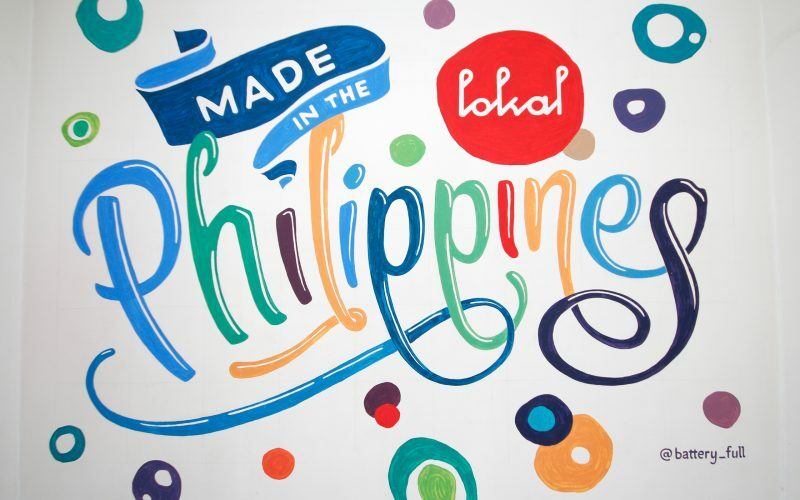 The words “Made in the Philippines” greets you just outside the door, a work of art by multidisciplinary designer John Ed De Vera (who is popularly known as @battery_full). 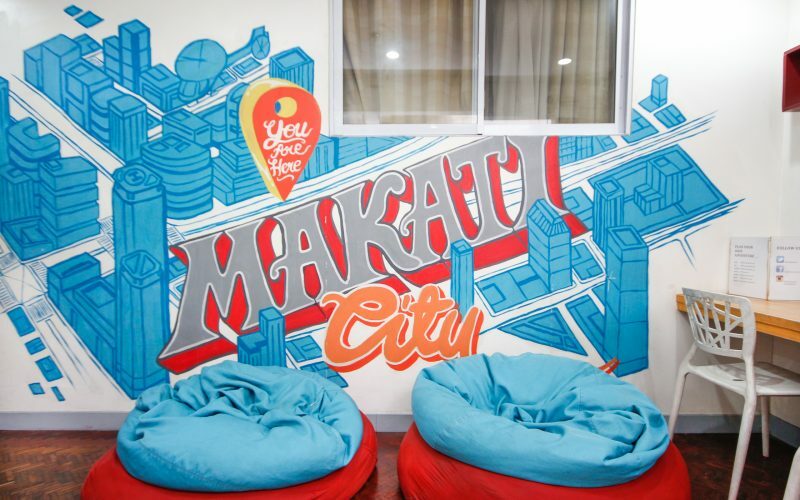 “The incorporation of street art was inspired by my love for art and hip-hop music and the gentrification of the Poblacion area,” shares Don Angelo Bautista, co-owner of Lokal Hostel. “I noticed that public art brings together people from different walks of life and saw it as an opportunity to spark the curiosity of travelers from around the world to come here and see Filipino talent,” he adds. “I’ve always wanted to be a hotelier but I didn’t know how a small business owner like myself could possibly get into the industry until my first visit to Sydney, Australia where hostels are found in every borough,” recalls Don. When he came back, he took advantage of the local tourism industry’s upward trend and established Lokal with his business partner, Andrew Licaros, in November 2013. 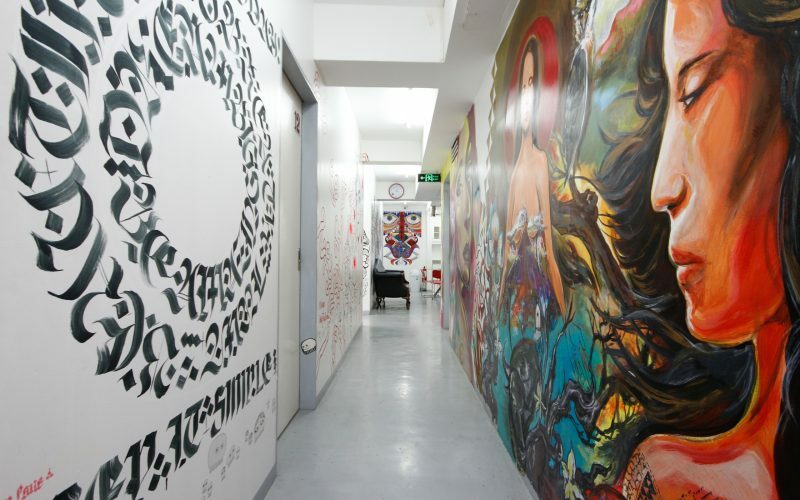 In between day trip recommendations and language guides are murals by Tokwa Peñaflorida and WeeWillDoodle while Dee Jae Pa’este’s tribal goddesses inhabit the ground floor and rooftop. Each of Lokal’s 16 rooms showcases a different artwork as well. 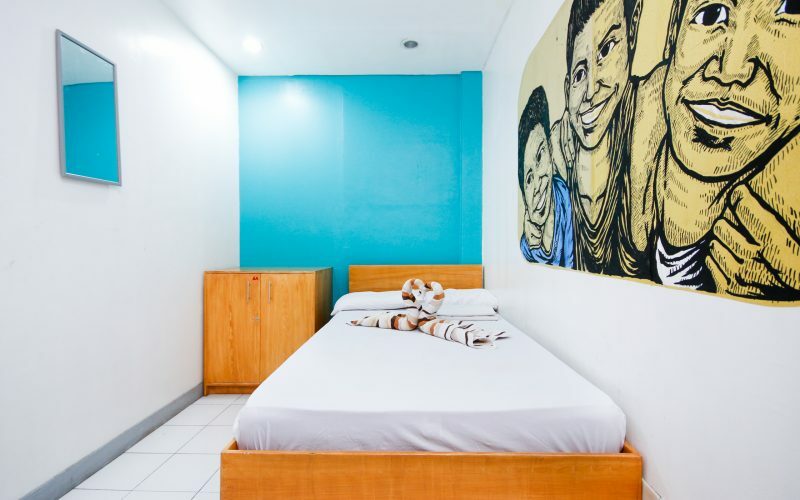 If you’re looking for budget accommodations that are high on color and character, Lokal Hostel is definitely the place to be.